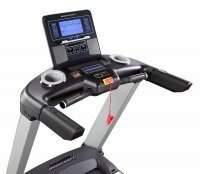 The BODYCRAFT T400 Folding Treadmill was engineered and designed for the serious home user that needs the option of a folding treadmill for a small space and ease of transport. Although smaller than it's big siblings, the T400 is built with the same high-quality standards and will perform and hold up to any beating it's given. 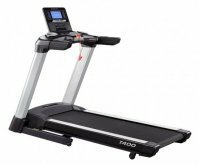 The T400 is able to accommodate any size user up to 350lbs, It is truly the treadmill for everyone. From the beginner to advanced athlete, you will not find a better value in its class. 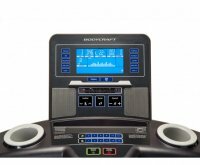 Fitness Warehouse is an Authorized Dealer for Bodycraft Product. You will be receiving the full manufactures warranty. Your warranty covers Lifetime on frame and motor, all parts for 12 years and 2 Year coverage on labor. Lowest Price Quote Guaranteed!! Free Shipping!